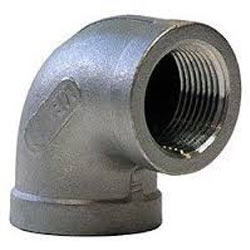 Established in the year 1986, we “Steel Lines”, are an ISO 9001:2008 certified trader(stockist) of a high quality assortment of SS Socket Weld Fittings, Stainless Steel Sheet, SS Bars, SS Rod, SS Plates, SS Pipes, SS Pipe Fittings, etc. We are a Sole Proprietorship Company that is located at Vadodara (Gujarat, India) and are connected with the renowned vendors of the market who assists us to provide qualitative range of stainless steel products as per the ISO set standards. Under the supervision of our Proprietor “Mr. Bhavesh”, we have attained a dynamic position in this sector.